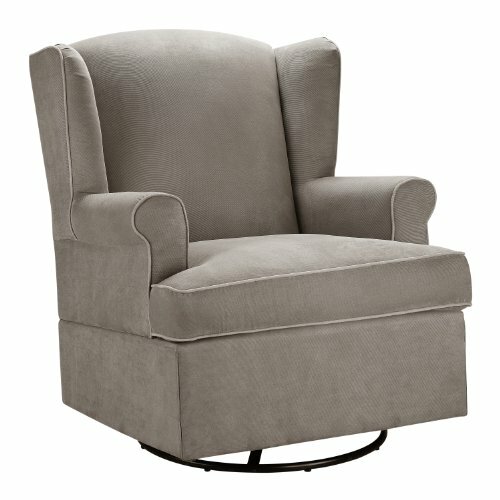 My Favorite Comfy Chairs for the Bedroom! 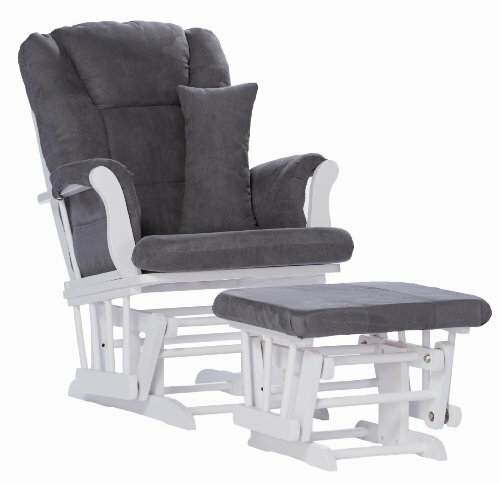 Gorgeous, Comfy Glider Rocker Chairs for the Bedroom! Bedroom chairs need to be comfy! After all, they will be the next best thing around aside from your own bed! 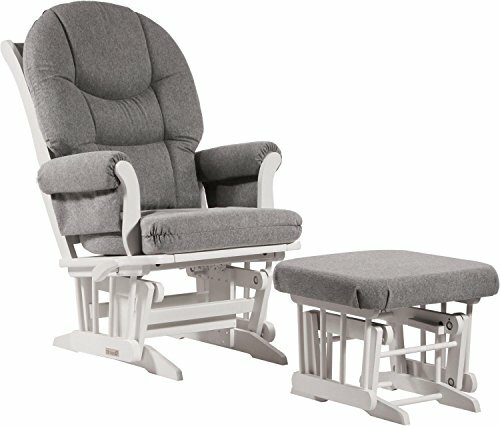 They are also perfect for nursing your new baby, just like this beautiful dark gray recliner and ottoman combo in the picture. The gliding motion is very soothing! I LOVE this gorgeous color! It is very cozy and inviting! 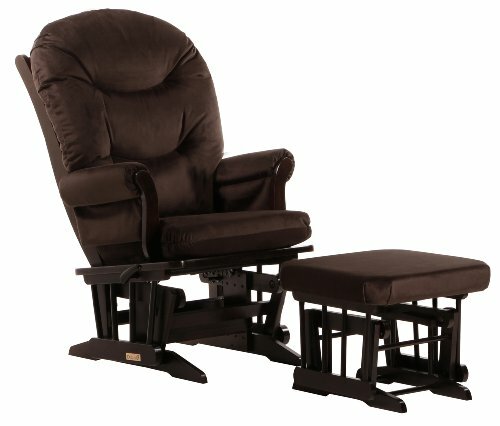 This is the perfect glider and ottoman that also reclines! Yes, it also fits tall people comfortably! Great Christmas gift idea for a new mom and dad in the family too! *This is a Very Nice and Affordable Swivel Glider Chair for the Bedroom! Just by looking at this nice swivel glider chair we can tell it is very comfortable! Perfect to have in a nice corner in your bedroom, preferable near a window, in case you want to read during the day using natural light. This dark taupe is a very relaxing color that matches any other bedroom furniture. Great chair for a new baby boy’s nursery room but also for any bedroom! It fits people up to 225 lbs. The Most Comfortable Chairs for Bedrooms! 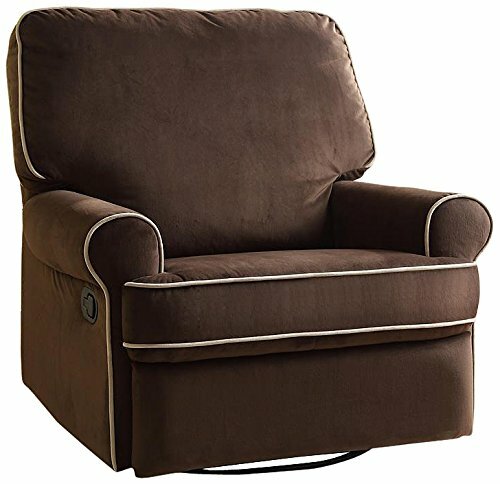 What a gorgeous coffee color swivel glider recliner chair for the bedroom! Perfect to rest your whole body, including your head, since the back is pretty high too! This coffee color is also amazing! Another ultra-comfortable and relaxing chair for the bedroom is this soothing swivel glider chair and ottoman! It is very smooth and cozy and it also also offers nice lumbar support. Perfect for nursing a new baby girl but also for reading a nice book or watching TV! What a Pretty Chair to have in the Bedroom! Beautiful and Affordable Glider and Ottoman, White/Turquoise Chevron Pattern! 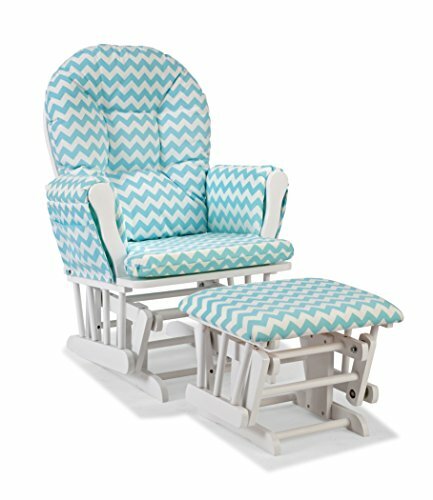 This is such a pretty glider and ottoman chair in a gorgeous white and turquoise chevron pattern! The best thing about this chair though is the price! Very stylish and comfy too! Great gift idea for a new mom in the family! *Affordable Glider and Ottoman with Free Lumbar Pillow! And last, but not least, here is a gorgeous, spacious and very comfy, affordable glider and ottoman in a beautiful white and dark grey color for the bedroom or nursery room! It’s also perfect for reading hours in a row, it’s sturdy and fairly easy to assemble. The size is also pretty nice for both mom and dad to enjoy! Nice Chair Beds for Guests!